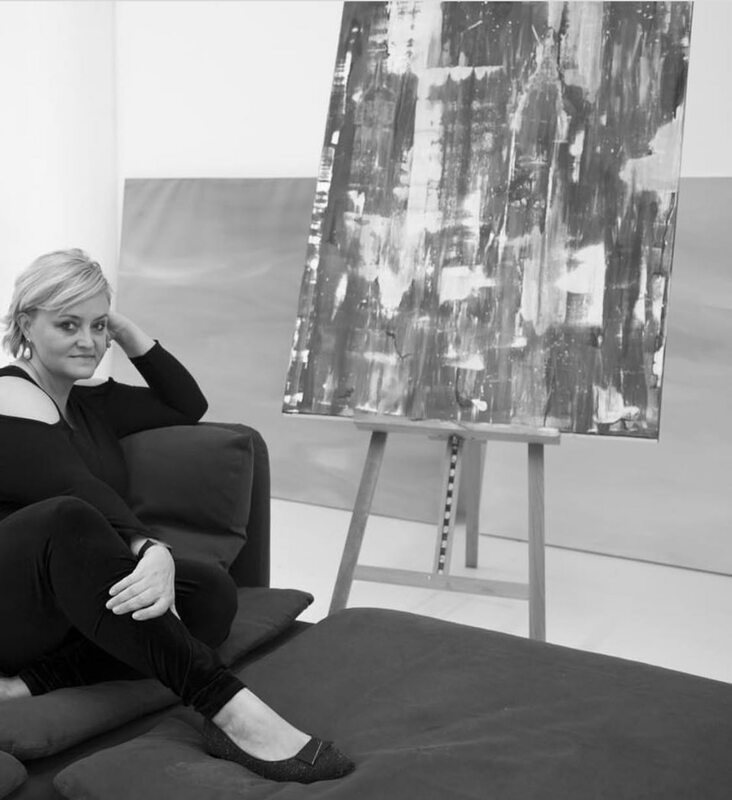 Camilla Webster is a collected and exhibited fine artist, best selling author and speaker. Painting in South Florida since 2017, the New York artist has focused on the essence of Ocean Reef, and the water around the Florida Keys in acrylic on canvas. Capturing the attention of the Miami art scene upon her arrival, Webster was given a solo show during Art Basel Miami week at The Edition Hotel sponsored by Sotheby’s ONE. Her work was then chosen by interior designer Elizabeth Ghia for “The Grand Salon” in the Miami Designer Show House at The Deering Estate last April. In the summer of 2018, her portraits and abstracts were part of “The Power of Her” exhibit curated by art patron and expert Tanya Brillembourg at IdeoBox in Wynwood, Miami. Her work is in private and corporate collections in New York, Palm Beach, London and Hilton Head. Mercedes Benz celebrated Webster’s work during Miami Art Week in 2018 with a special installation exhibit curated by Jill Deupi, director of The Lowe Art Museum. The Ocean Reef Art League curated a joint exhibit of Camilla Webster and Pasta Pantaleo in January 2019, and a solo exhibit of her work is planned at the Roberto Russell Gallery in Islamorada later in the season. Webster explores her ideas, working in acrylic, oils, video and photography. Themes are also informed by her background as a veteran journalist and storyteller at Forbes, The Wall Street Journal and other international news outlets. Her TEDx talk “Art in Front of You” which focuses on the art of calming down has garnered thousands of views. Predominantly self taught, she studied under Pat Lipsky at The Art Students League, New York in 2013 and at The Slade School of Fine Art, London in the summer of 2014 and went on to spend the winter of 2014 to summer 2015 in the studio at Mana Contemporary in Jersey City. Webster obtained her Joint Honours MA and BA in Modern History and History of Art from the University of St. Andrews, Scotland in 1995. Since 2013 Webster has exhibited in galleries and given art talks by special invitation in Miami, London, Paris and New York. Since 2010, Webster has lived and worked between Miami, New York and the UK. Webster currently maintains a studio in Palm Beach, Florida.